Below is a list of all Inverness Hotels in Scotland with Websites, Phone Numbers , Images and links to Maps , Top Restaurants and Reviews. The centre of Inverness is regarded by most people as the area around the Train Station. Inverness Area Click on Map for Top Attractions & Mountain Hiking. Inverness Attractions list with websites, maps and reviews. Also listed are links to B&Bs , Self Catering and the top Fort William Websites. Rocpool Reserve Hotel & Restaurant. VS 5 Star, 0.7 of a mile south of Inverness Train Station on Culduthel Road. Exclusive modern and elegant, Inverness's first boutique hotel and restaurant. In the centre of the city just a few minutes walk from Inverness castle. Tel: 01463 240 089. Bunchrew House Hotel & Restaurant. VS 4 Star, 3 miles west of Inverness Train Station at Bunchrew. Set within 20 acres of landscaped gardens and woodland on the shores of the Beauly Firth near Inverness, a 17th century Scottish mansion steeped in tradition and history. Tel: 01463 234 917. Columba Hotel & Restaurant. AA 4 Star, 0.4 of a mile southwwest of Inverness Train Station on Ness Walk. 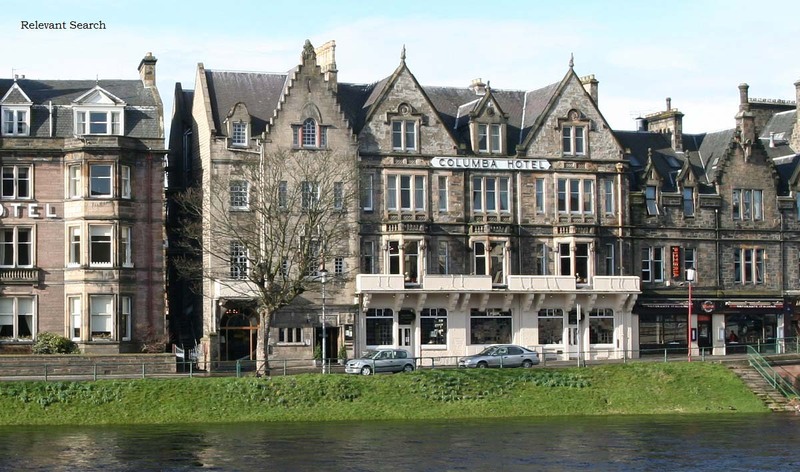 The Columba Hotel is situated on the River Ness across from Inverness Castle, only a few minutes walk to the city's shopping amenities.. Tel: 01463 231 391. Culloden House Hotel. SC 4 Star, 4 miles northeast of Inverness Train Station at Culloden. Used by Bonnie Prince Charlie as his battle headquarters for that fateful and final battle on Culloden Moor. Today, this luxury hotel has about 40 acres where you are free to wander. Tel: 01463 790 461. Glendruidh House Hotel. SC 4 Star, 2 miles southeast of Inverness Train Station on Old Edinburgh Road. Accommodation is on a bed and breakfast basis with evening meals available in the saloon. Tel: 01463 226 499. Glenmoriston Town House Hotel & Restaurant. SC 4 Star, 0.6 of a mile south of Inverness Train Station on Ness Bank. Close to Inverness city centre with views of the River Ness, with a renowned French restaurant, luxurious bedrooms and stylish yet practical meeting rooms & highland wedding facilities. Tel: 01463 223 777. Kingsclub and Spa. AA 4 Star, 0.8 of a mile southeast of Inverness Train Station on Culcabock Road. A country treat minutes from Inverness centre. Tel: 01463 257 100. Kingsmills Hotel. SC 4 Star, 0.8 of a mile southeast of Inverness Train Station on Culcabock Road. In a quiet corner of Inverness, the ideal place to help you make the most of your stay. Tel: 01463 237 166. Lochardil House Hotel. SC 4 Star, 2 miles south of Inverness Train Station on Stratherrick Road. A castellated house built in 1876, set in attractive gardens with mature pines. Tel: 01463 235 995. Loch Ness Country House Hotel & Restaurant. AA 4 Star, 3 miles southwest of Inverness Train Station on Loch Ness Road. A haven of tranquility, comfort and excellent food. Surounded by six acres of beautiful gardens. Tel: 01463 230 512. New Drumossie Hotel & Restaurant. AA 4 Star, 3 miles southeast of Inverness Train Station on Old Perth Road. A listed art deco building in 9 acres of manicured private grounds, ideal for a relaxing weekend break, or a romantic wedding in the Scottish countryside. Tel: 0844 879 9017. Beaufort Hotel & Restaurant. SC 3 Star, 0.7 of a mile south of Inverness Train Station on Culduthel Road. Traditional comfort and a great welcome, popular with both business and tourist guests. With popular bars, restaurant, function and conference facilities. Tel: 01463 222 897. Chieftain Hotel. SC 3 Star, 0.6 of a mile northeast of Inverness Train Station on Millburn Road. Extensively refurbished with modern public areas. Food and drink are served in the two conservatories. Tel: 01463 232 241. Corriegarth Hotel & Restaurant. SC 3 Star, 0.8 of a mile southeast of Inverness Train Station on Heathmount Road. The hotel has the Taboo restaurant and a stylish Sports bar with plasma screens and new contemporary decor. Tel: 01463 242 730. Craigmonie Hotel & Restaurant. SC 3 Star, 0.9 of a mile southeast of Inverness Train Station on Annfield Road. Independantly run highland hotel with 35 well appointed en-suite bedrooms ranging from single rooms to superior doubles/twins, suites to special four poster rooms. Tel: 01463 231 649. Glen Mhor Hotel & Restaurant. AA 3 Star, 0.6 of a mile south of Inverness Train Station on Ness Bank. High quality of accommodation and excellent standards of service and hospitality make The Glen Mhor a popular destination for short breaks and weekend breaks. Tel: 01463 234 308. Heathmount Hotel & Restaurant. SC 3 Star, 0.5 of a mile southeast of Inverness Train Station on Kingsmills Road. A friendly and stylish boutique hotel that used to be a Highland Inn, dating from 1868, with a long tradition of warm Scottish hospitality. Tel: 01463 235 877. Holiday Inn Express Inverness. SC 3 Star, 2 miles east of Inverness Train Station at Stoneyfield Business Park. A modern Holiday Inn Express that is a pleasant base for your trip with wireless Internet in all guest rooms. Tel: 0871 902 1615. Jurys Inn & Restaurant. SC 3 Star, 1 mile east of Inverness Train Station on Millburn Road. Within easy reach of Loch Ness, this 118 room hotel is an ideal base to tour the many Highland attractions. Tel: 0161 774 2986. Maple Court Hotel & Restaurant. SC 3 Star, 0.8 of a mile southwest of Inverness Train Station on Ness Walk. Situated on the banks of the River Ness within private woodland gardens of 2 acres, only a short walk from Inverness City Centre. Hotel may be being extended. Tel: 01463 230 330. Mercure Inverness Hotel & Restaurant. AA 3 Star, 0.1 of a mile west of Inverness Train Station on Church Street. The modern Mercure Inverness hotel is situated on the banks of the River Ness, 200 metres from Inverness Train Station. Tel: 0844 815 9006. Palace Hotel & Spa. AA 3 Star, 0.4 of a mile southwest of Inverness Train Station on Ness Walk. 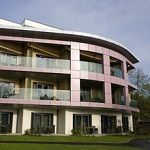 An 88 bedroom classic, yet contemporary hotel with a 50ft swimming pool and superb leisure club. Tel: 01463 223 243.
pentahotel. SC 3 Star, 0.2 of a mile southwest of Inverness Train Station on Academy Street. A modern Inverness hotel with great value accommodation and meeting facilities. Tel: 01463 228 850. Redcliffe Hotel & Restaurant. SC 3 Star, 0.5 of a mile south of Inverness Train Station on Gordon Terrace. Resident parking, intuitive menus, slick professional service, knowledgable local staff and a great location. Tel: 01463 232 767. Royal Highland Hotel & Restaurant. AA 3 Star, 0.1 of a mile south of Inverness Train Station on Academy Street. One minute from the train station, in the vibrant and modern Highland capital of Scotland, a friendly, welcoming, real Scottish hotel of character and charm. Tel: 01463 231 926. The Kings Highway- a JD Wetherspoon Hotel. SC 3 Star, 0.2 of a mile northwest of Inverness Train Station on Church Street. A Wetherspoon hotel ideally located in the city centre with 27 individual bedrooms, all en suite and include tea- and coffee-making facilities, hair dryer and TV. FREE Wi-Fi is available in the bar area. Tel: 01463 251 800. Waterside Hotel & Restaurant. SC 3 Star, 0.5 of a mile south of Inverness Train Station on Ness Bank. 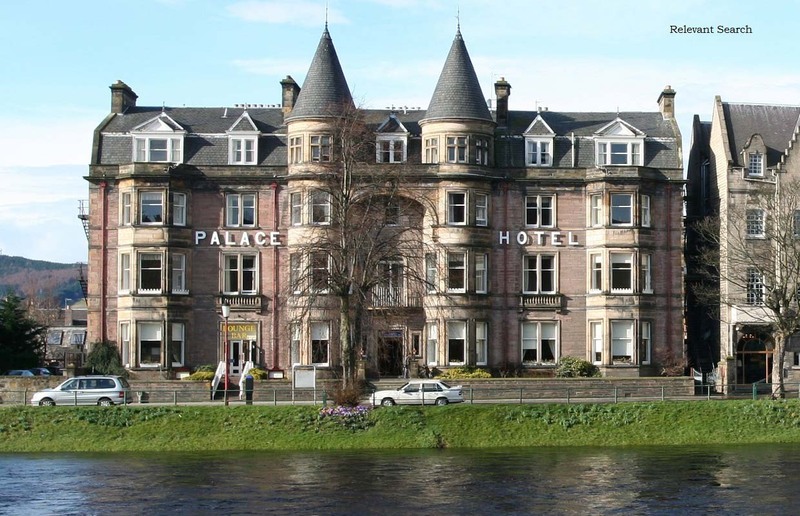 A privately owned hotel on the banks of the River Ness. Our a la carte restaurant is one of the most attractively situated restaurants in Inverness offering food and refreshments all day. Tel: 01463 233 065. MacDougall Clansman Hotel. VS 2 Star, 0.2 of a mile northwest of Inverness Train Station on Church Street. A small hotel with a central location ideal for easy access to local transport and city centre attractions, services and organised tours. Tel: 01463 713 702. Premier Inn Inverness Centre. SC 3 Star, 1 mile east of Inverness Train Station on Huntly Street. Panorama views of the River Ness and Inverness Castle, and great attractions close by. Tel: 0871 527 9302. Premier Inn Inverness Millburn Road. SC Budget, 1 mile northeast of Inverness Train Station on Millburn Road. High speed internet access is available in this hotel by WiFi for a small fee. Dinner, or a light bite, you'll enjoy great value food in our restaurant.Tel: 0871 527 8544. Premier Inn Inverness east. SC Budget, under 2 miles east of Inverness Train Station at Beechwood Business Park. Situated in a business park, a great base for work as well as play. Tel: 0871 527 8546. Travelodge Inverness Hotel. SC Budget, 2 miles east of Inverness Train Station on Inverness Road. Free Parking available at the rear of the property with 72 spaces. Tel: 0871 984 6148. Travelodge Inverness Fairways Hotel. SC Budget, 3 miles south of Inverness Train Station at Castle Heather. Free Parking with 80 spaces. Tel: 0871 984 6285.